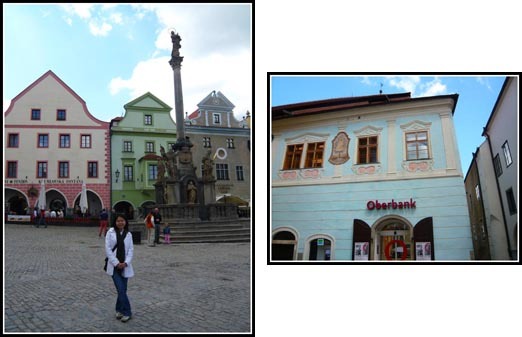 The buildings in the picture below, are baroque-style buildings. 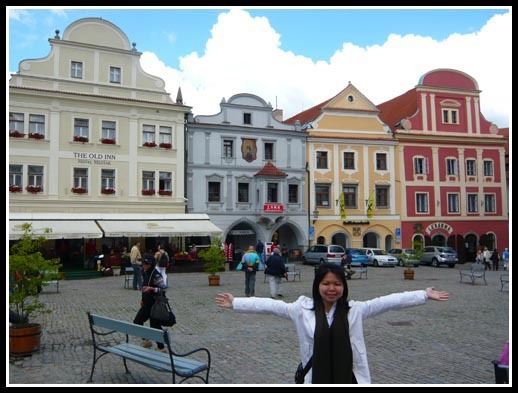 How to identify Baroque architecture? – See the @ designs at the corners of these buildings? 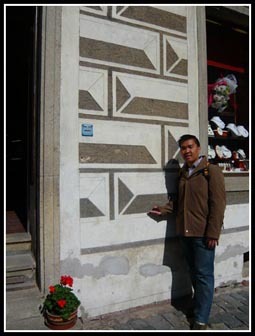 The presence of these @ symbols means that these buildings were most likely built in the Baroque era. 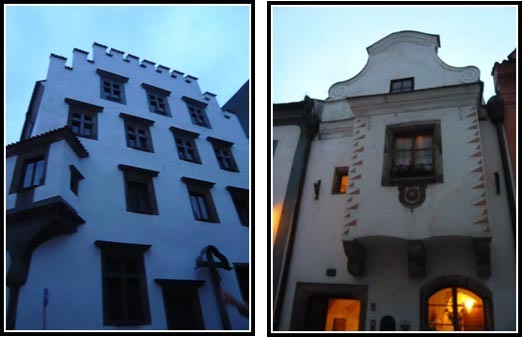 A few more Baroque-era buildings. The building on the right with the bright pink and blue colors are of rococo architecture – a sort of ‘baroque on steroids’ featuring even more elaborate decoration. As the townsfolk get richer, they splurged on such building architecture to show off their wealth and being able to keep up with the latest building “fashion”. The following building was actually a combination of 2 Gothic-style buildings and re-designed into Neoclassical style. The Gothic architecture is characterised by tall, pointed arches – see the 6 arches at the foot of the building. The architecture of this building looked rather dull compared to baroque styles because back in the early 19th century, there was a feeling among architects that there was a need to simplify styles. They looked to classical Greece and Rome architecture for inspiration. If a building has lots of faux columns and rows of identical windows (like the building below) – and looks a little, well, boring – chances are that it’s neoclassical architecture. When you see external facade that protrude out of buildings like these, most likely these are neo-classical architecture. For example, the building on the right is Baroque-style (notice the @ symbol?) with a neo-classical facade add-on. 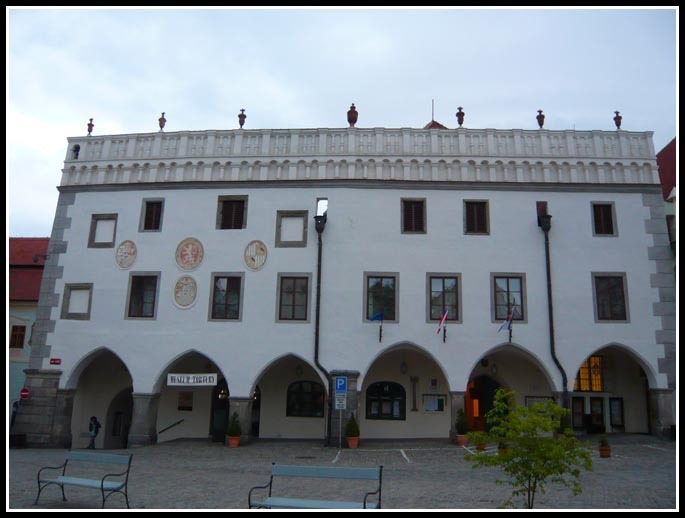 Back in the 16th century (Renaissance era), many Czech nobles were sent to Italy for their studies and when they came back, they brought with them a new enthusiasm for classical forms, an obsession with grace and symmetry and a taste for exuberant Renaissance style decoration. The mix of local and Italian styles gave rise to a distinctive ‘Bohemian Renaissance’ featuring heavy, ornamental stucco decoration and paintings of historical or mythical scenes. The technique of sgraffito – from the Italian word ‘to scrape’ – was often used, creating patterns and pictures by scraping through an outer layer of pale plaster to reveal a darker surface underneath. 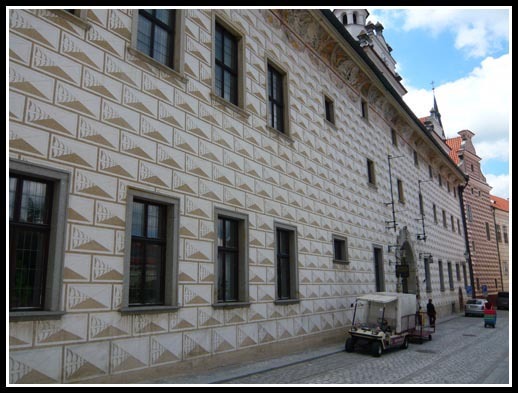 This technique created facade such as the envelope-looking designs on the wall in the picture below. Our guide, Oto Šrámek, who is also a civil engineer. He speaks fluent English and surprisingly, Japanese as well. 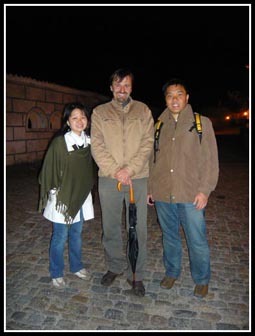 He offers a wide range of day/night tours as well as accommodation in his Pension Oto at his website: http://otosan.cz/?&lang=en&mode=normal. Whoa. This is very interesting, these pictures blow me away. Keep the good stuff coming. Good luck.